"101+ Words You'll Need To Survive The Neighborhood"
eating meatballs on a Sunday afternoon. SHIP IT AS A GIFT RIGHT NOW !! 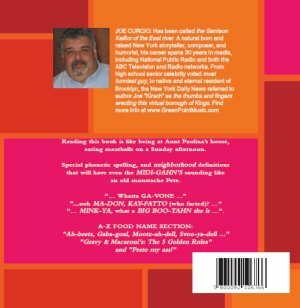 AUTHOR, JOE CURCIO: Has been called the Garrison Keillor of the East river. A natural born and raised New York storyteller, composer, and humorist, his career spans 30 years in media, including National Public Radio and both the ABC Television and Radio networks. From high school senior celebrity voted most funniest guy, to native and eternal resident of Brooklyn, the New York Daily News referred to author Joe "Kirsch" as the thumbs and fingers erecting this virtual borough of Kings. 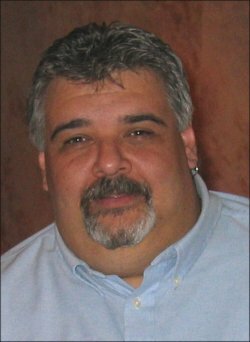 Joe Curcio was keeping a website and broadcasting radio shows about the neighborhood well before it was the new hot thing in Brooklyn, and hell be here long after the hype dies out. 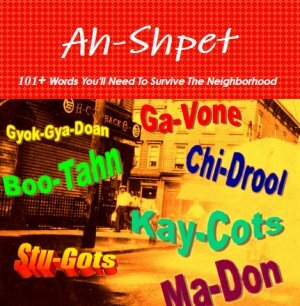 Buy the book, and next time you overhear someone in the neighborhood telling some moot-do-day-vom to slow down with their dinner or theyll get shkod-ol-n-beans all over their shirt and end up looking shob-alone, youll know whats going on. Special phonetic spelling, and neighborhood definitions that will have even the MIDI-GAHN'S sounding like an old moustache Pete. Whatta GA-VONE ..." "...ooh MA-DON, KAY-FATTO (who farted)? "Ah-beets, Gaba-goal, Mootz-ah-dell, Svoo-ya-dell ..."
"Gravy & Macaroni's: The 5 Golden Rules"